CPS Camp No. 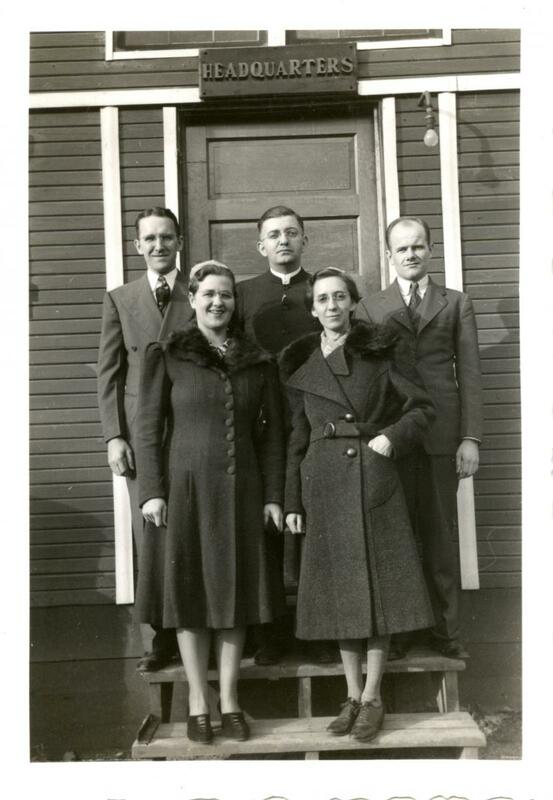 22, a Soil Conservation Service base camp located at Henry, Illinois and operated by Mennonite Central Committee, opened in November 1941 and closed in November 1942, partly because of hostile attitudes toward conscientious objectors. The men built fences, stock ponds and performed a variety of soil erosion duties. 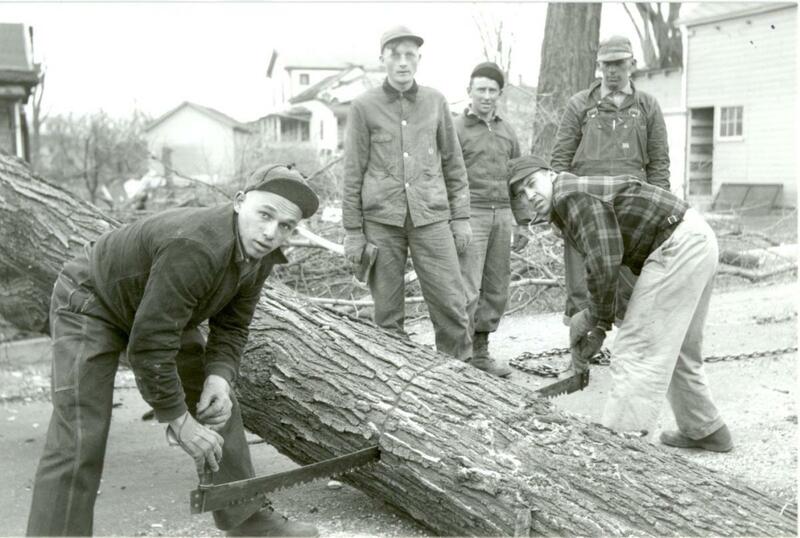 Men are helping after March 1942 tornado at nearby Lacon, IL. 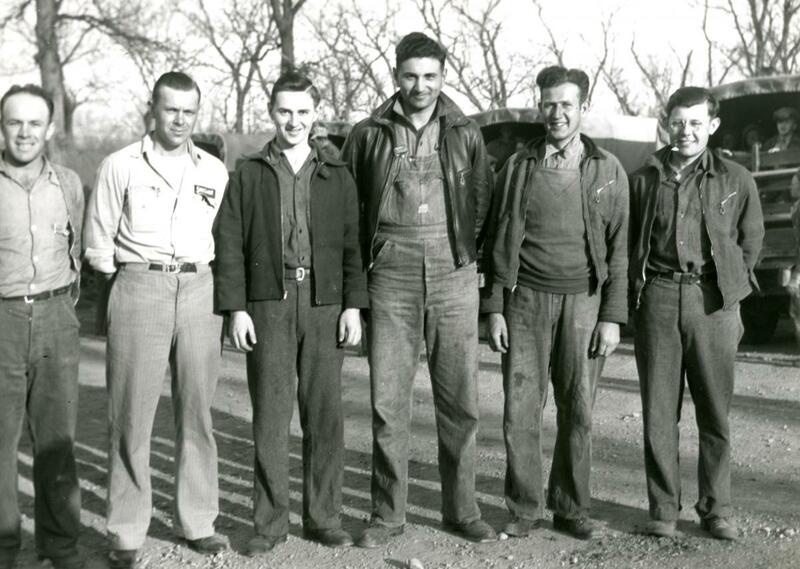 Left to right: Floyd F. Yoder, Kalona, Iowa, Orville C. Smith, Summer Iiowa. Deep River Echo was a newsletter published by the men at Camp 22 from March to October 1942. 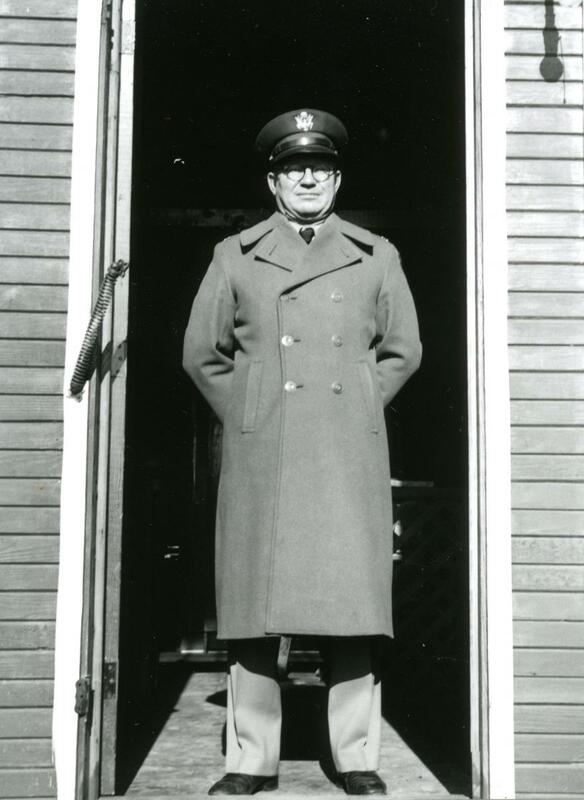 Col. Lewis Kosch, deputy to Major General Lewis B. Hershey. Col. Kosch periodically visited and inspected the CPS camps to give guidance and check on sanitation etc.--especially in the early months of CPS camps. 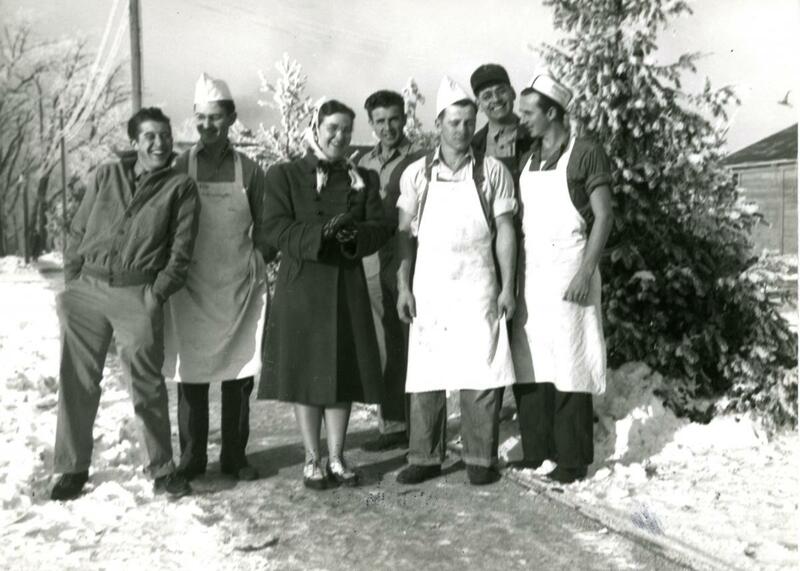 L to R Ralph Hernley, Educational Director, Elizabeth Hernley, Dietitian, Leland A. Bachman, Director, Elsie Bachman, Matron, Cornelius P. Lohrenz, Business Mgr.